Time-displaced romantic comedy How Long Will I Love U succeeds entirely on the backs of the chemistry of the two leads, Tong Liya and Lei Jaiyin. Thanks to them, what would be a by the numbers film instead becomes an engaging exploration of people chasing dreams while being pressured by life and tempted to make unsatisfactory choices to further their own goals. In 2018, Gu Xiao-Jiao (Tong Liya) works at jewelry store desperate to marry but mostly because she wants a husband to buy her a house. A very specific house, the house she grew up in before her father died. But she’s over 30 and also the target of scammers who soon manage to walk off with most of her savings, putting her even farther away from her dream. In 1999 Lu Ming (Lei Jia-yin) is a struggling architect who has no one to sponsor his designs for construction. He’s also broke and stumbles across a plot at work from his supervisor to steal from his boss. His supervisor offers to fund his projects if he looks the other way, giving Lu Ming a real moral dilemma. Both of them live in the very same apartment in the same building 21 years apart. Now it’s time for time travel! Due to the power of it’s what happens for the plot, their apartments merge together into a sort of hybrid apartment. Upon awakening Gu immediately starts hitting Lu Ming and chasing him around the apartment with a cleaver, but both of them stop when they realize half of the apartment is not the one they know, and the weather is completely different out of the two different windows (one shows a sunny day, the other a torrential downpour!) The door has handles on both sides, they figure out that if Ming opens his side, they arrive in 1999, while if Gu opens her side, they are in 2018. They cannot open the other person’s door side, and if they try to open both sides at once, the apartments begin contracting more. It’s time’s way of keeping things in balance. We see this later as computers won’t allow network access to Google what happened to Lu Ming, nor will Ming’s phone allow Gu Xiao-Jiao to call her father. An attempt to buy lottery tickets in 1999 results in the ticket blanking out. The characters obsess over money, but not out of reasons of greed, but more as just a means to achieve their goals. Ming just wants to make cool buildings for people who need housing and can’t working unless people are paying for the construction. Gu just wants her heritage back, even her humorous attempts to save face by not looking poor are more so she’s not even more humiliated by the ghosts of her past. She holds back on buying her desired chocolate cake because the cost is too exorbitant. We do encounter future Lu Ming, but we learn that sometimes getting what you want isn’t what you really want. The film’s focus on money as a tool and not a goal help keep the characters relatable and in line with the actors’ natural talents of charisma, which is contrasted against future Lu Ming to help reinforce the concept. There is some great goofy moments before the apartments merge as parts of it crosses over while Gu or Lu are doing different chores at home. 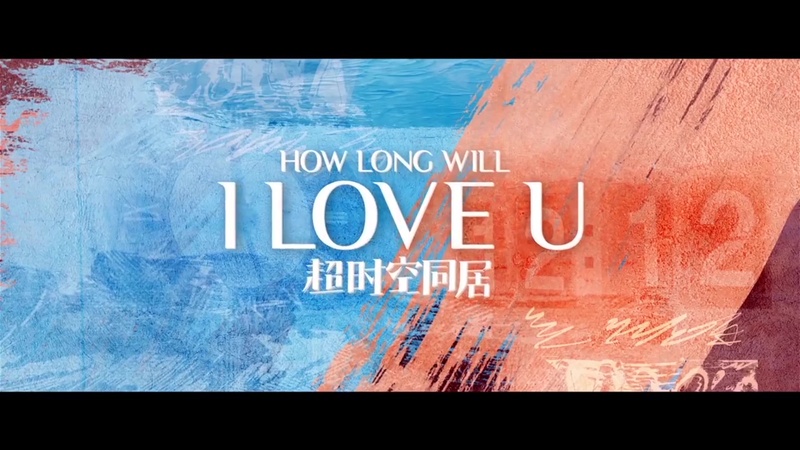 the chemistry between Tong Liya and Lei Jia-yin is so good that they just had the two riff together a bunch of short vignettes being cute together during the closing credits, the film just wasn’t ready to let this pair go!